The 1More Single Driver is quite attractively priced. At ₹2,700 they offer great clarity across the spectrum. If you listen to a lot of rock or metal you’d do better upping your budget slightly and picking up something like the M6 Pro. But if you are into genres which need an emphasis on vocals you won’t go wrong with the 1More. The design and build quality only make a stronger case for picking these up. 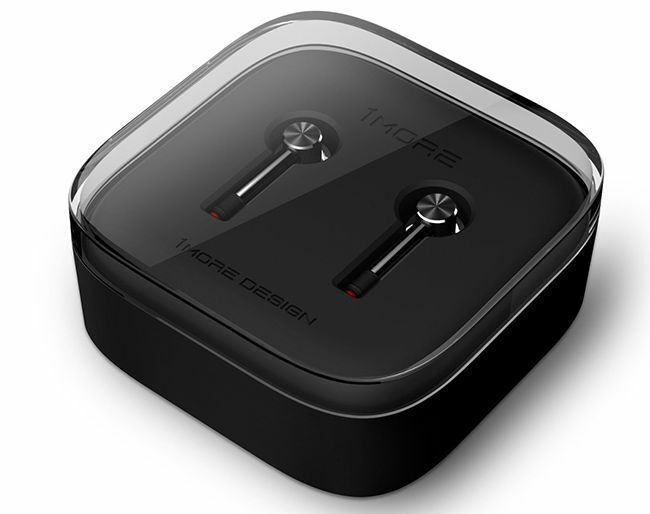 1More is the OEM manufacturer that designed (and possibly manufactured) Xiaomi’s Piston and Hybrid in-ears. They have only a few models in their collection but each headphone seems well thought out and purpose built. 1More even posts some impressive durability and testing standards on its website. The 1More 1M301 (a.k.a 1more Single Driver) feels like it comes from a pedigree of sorts at least going by the looks. It has been tuned with by a Grammy Award Winning Sound Engineer, Luca Bignardi “to deliver a precise representation of your favourite music,” according to the company. Does it live up to the hype? Let’s find out. Before getting into what lies beneath, let's first start with what meets the eye. The 1more Single Driver is an exceptionally nice looking earphone. Yes, I know aesthetics is a subjective area but I can’t help marvelling at the design. 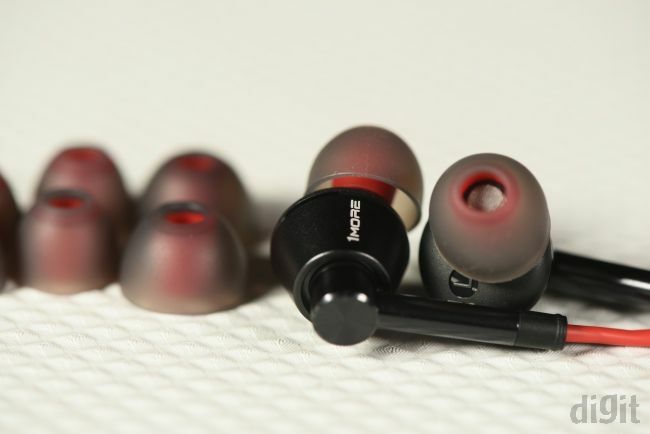 The machined gunmetal-finish housing, the bright red fibre-sheathed cable, even the translucent silicon tips with their bright red core – all of it gives the 1more a premium look. And this beauty isn’t skin deep either since the materials used aren’t half bad. The headphones feature an aluminium alloy body while the cable consists of interior enamelled copper wrapped around Kevlar fibre. The fibre is then coated with a TPE layer on which there’s a braided nylon sheathing. The box that the 1M301 comes in exudes the same level of quality. 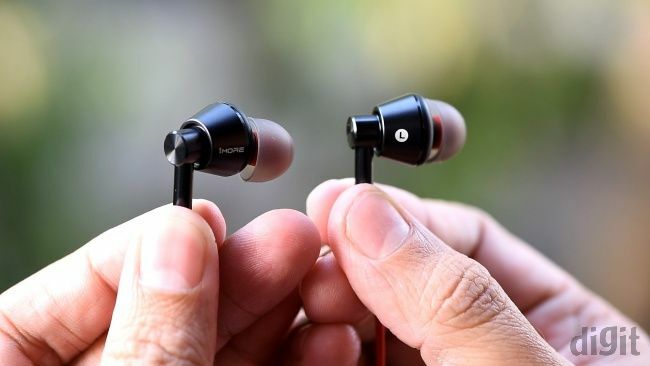 It’s compact and when you open the box you are greeted with the headphones neatly wrapped around this soft rubber cutout which is encased in the transparent top plastic case. Initially, I thought the rubber thingie around which the headphone was wrapped was a cable management tool. However, it proved to be pretty tedious to use it. In the end, I concluded it was most likely only meant to securely fasten the headphones in the packaging and not really a cable management tool. I quickly resorted just plonking the headphones directly into the case. The aural reproduction on the 1more can be best described as “clean” for the lack of a better word. The 1More Single Driver is surprisingly detailed. On Stereo Love the subtle vocal echoes that are mixed to sweep from left to right are delightfully noticeable (timestamp 02:11). 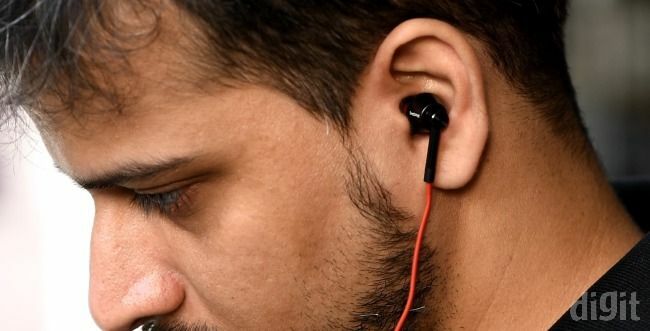 The way it rendered Shine On You Crazy Diamond (Live) it was closer to the kind of upfront sound we saw on the more expensive RHA S500i – very detailed but lacking a robust fullness to the sound. The 1More Single Driver does very well with vocals. Chris Rea’s vocals on Call On Me sounded velvety smooth and rich. Soundstaging, especially in live performances, could’ve been better. It started faltering a bit with instrument heavy metal tracks like Pull Me Under by Dream Theater. A bit of the upper mid-range started getting subdued. We noticed the same same thing on Motherjane’s Mindstreet. But we are just nitpicking, overall the 1More sounds quite nice for a Rs. 2,799 headphone. 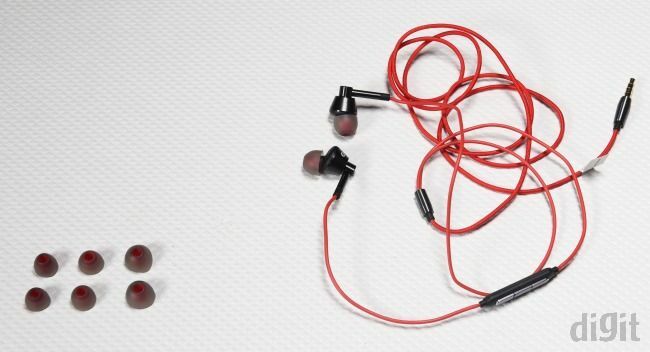 Aesthetically the 1More Single Driver is the most beautiful in-ear headphone we've encountered in a long time. But looks aside, the materials used are also among the best in the industry. At the price of Rs. 2799, the 1More Single Driver doesn’t really have any real competition. The audio it produces is easily in the league of much more expensive earphones. The only real option to suggest would be the Brainwavz M2 if bass is a priority and a microphone is not. Barring that alternative, the 1More is a solid choice you can’t go wrong with.